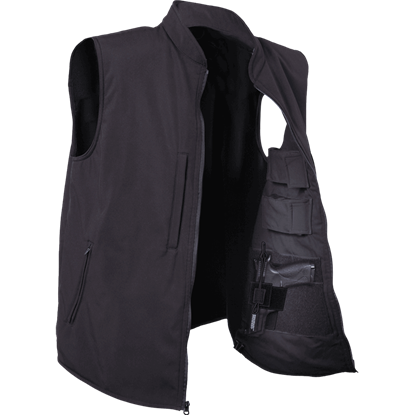 Have the advantage in any situation with one of our tactical vests. Whether you are venturing into the outdoors or prepping for any sort of survival situation, our tactical vests are essential. 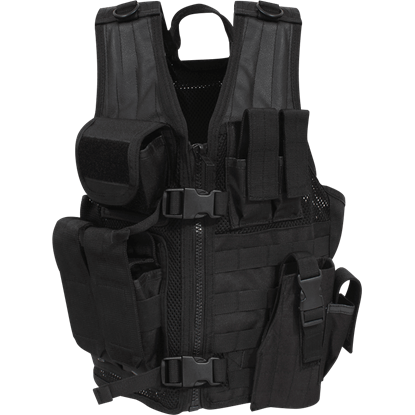 Many of these tactical vests feature padding for extra comfort and immense durability in their make, not to mention their adjustable fits and multitudes of pouches and pockets. 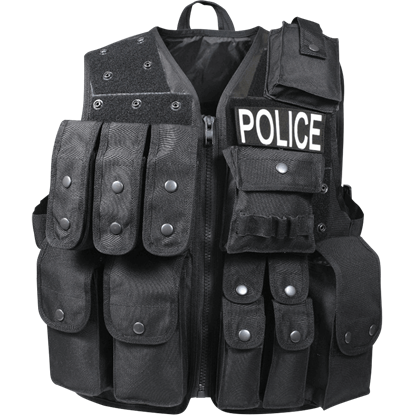 Our tactical vests come in a variety of styles. 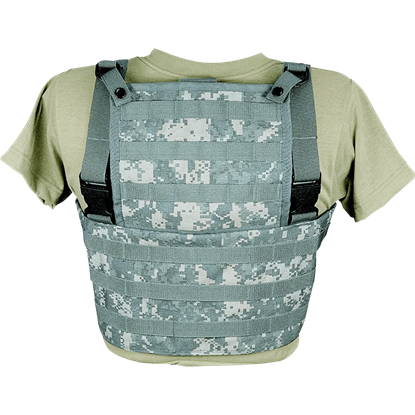 Some of the vests we offer include with digital camo vests, black conceal and carry vests, desert camo tactical vests, and even tactical vests for kids! 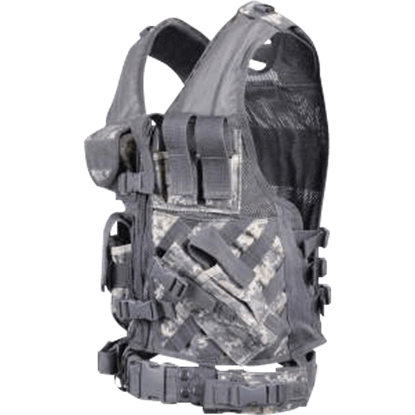 These versatile tactical vests are just what you need to stay prepared for whatever might come your way, whether you are planning a trip out in the wilderness or planning to survive the apocalypse. 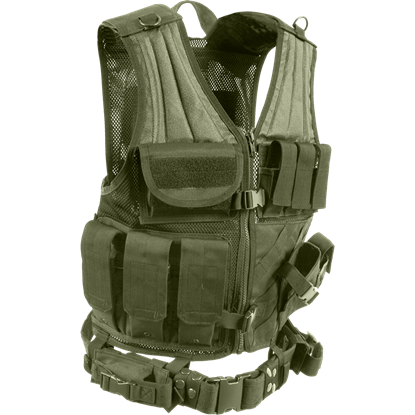 Before you breach the door make sure you have on the right gear like the Cross Draw Olive Drab Tactical Vest. This military inspired gear will become a valued asset to your gear after you experience all of the advantages of this rig. Before you breach the building make sure you are ready with right gear like the Quick Draw Black Tactical Vest. This impressive piece of law enforcement equipment can enhance your kit and allow you to become the best operator you can be. Zombie preparation is a serious business, and you need serious gear to get ready for when the undead do rise and attack humanity. 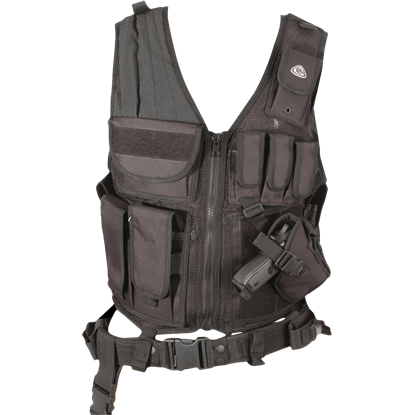 So prepare right and adorn yourself with this Tactical Combat Vest and its plethora of features.